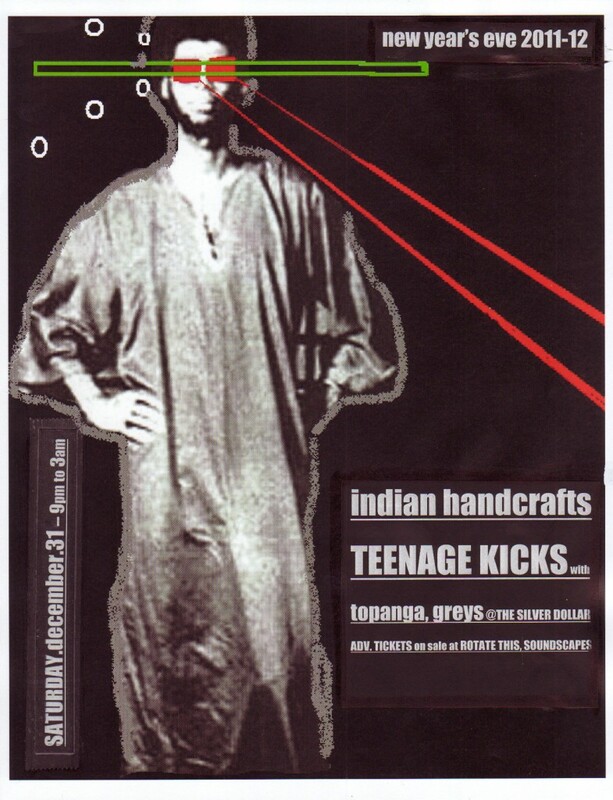 I almost didn’t want to blog about this because Silver Dollar is small and this lineup is stacked so I’d rather not be squished in there Saturday night, but for those of you near Toronto who still haven’t decided on New Years Eve plans, I bring you a second option that is gonna rule – Teenage Kicks with Greys, Topanga and Indian Handcrafts. Members from two other favorite bands (that both happened to make two of the best music videos this year) – Jake Boyd from Hollerado and Wes Marskell from The Darcys -will be DJing between sets, and you can bet they will be making appearances onstage with the bands playing at some point. Teenage Kicks and Topanga are two of my most favorite musical discoveries of 2011, so if you haven’t checked them out, you get two for one, plus I hear nothing but great things about Greys. Indian Handcrafts are also making a mark on the scene here, and if you’re into a heavy two piece with an insane drummer you won’t want to miss them either (though after seeing them with Topanga in November I’ll admit they’re too heavy for my taste). Tickets are available at Rotate This or Soundscapes for $12 (most affordable NYE option by a long shot? yes) so you should probably get them asap. Teenage Kicks are easily one of the best live bands you will ever see in Toronto, and they made my favorite album (though it was only an EP!) of 2011.